The following is a guest blog post by Sheila Hamilton. Thank you, Sheila! Sylvia Plath wrote the poem "Parliament Hill Fields" in February 1961, in London, very shortly after suffering the miscarriage which is the poem's subject. In the poem, the narrator walks in a wintry landscape and ponders the loss ("Already your doll grip lets go.") Towards the end of the poem, there is a sense of renewed life. At this time, Plath, Ted Hughes and their baby daughter Frieda were living in a small flat on Chalcot Square, maybe a mile away from Hampstead Heath of which Parliament Hill Fields are a part. Like many London dwellers, they would have enjoyed access to the Heath, sometimes referred to as "London's green lungs", a spacious place of grass and trees, birds and ponds, secluded glades overgrown with ivy, bramble and nettle, quiet meadows and, here and there, wonderful views of the city. Once marshy and very much outside London, part farmland, part private estate, by the mid nineteenth century the Heath was being transformed into a leisure space for the public. Several attempts to sell it off for "development" met with vigorous opposition and, ultimately, failure. Parliament Hill Fields is the name given to the south-eastern portion of the Heath. It acquired its name during the English Civil War (1642-1649) when Parliamentary forces led by Oliver Cromwell encamped there. Though it has another, earlier Parliamentary connection: in 1605, the Gunpowder Plotters came here to get a good view of the Houses of Parliament as they blew up. Unbeknownst to them, their co-conspirator Guy Fawkes, the man sent to actually prime the gunpowder in the cellars under Parliament, had already been arrested. They waited, almost certainly, right at the top of what later became known as Parliament Hill. 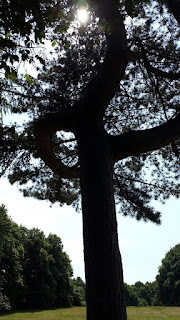 (Plath writes in the poem of how "Southward, over Kentish Town, an ashen smudge/Swaddles roof and tree. . ."; this is a view from a different angle.) Moving a short distance down this hill you come to the place known as the tumulus ("I circle the writhen trees. . .These faithful dark-boughed cypresses/Brood, rooted in their heaped losses."). One myth suggests that this tumulus was an Iron Age settlement of some kind, another that it is the burial-mound of Boadicea, queen of the Iceni tribe who raised a doomed revolt against the Romans. Archaeologists digging there several decades ago found tobacco pipes, broken bits of Delftware pottery and Chinese porcelain, all dating from the eighteenth century, but nothing earlier and certainly no bones or any signs of burial. In Plath's time, as now, the tumulus would have been simply a cluster of dark trees, a place of birdsong, with some benches. Parliament Hill Fields, like the rest of the Heath, is a leveller: everyone comes here. Parents with buggies, nannies with buggies, joggers, solitary walkers, kite-fliers, people walking energetic dogs. People with cameras. 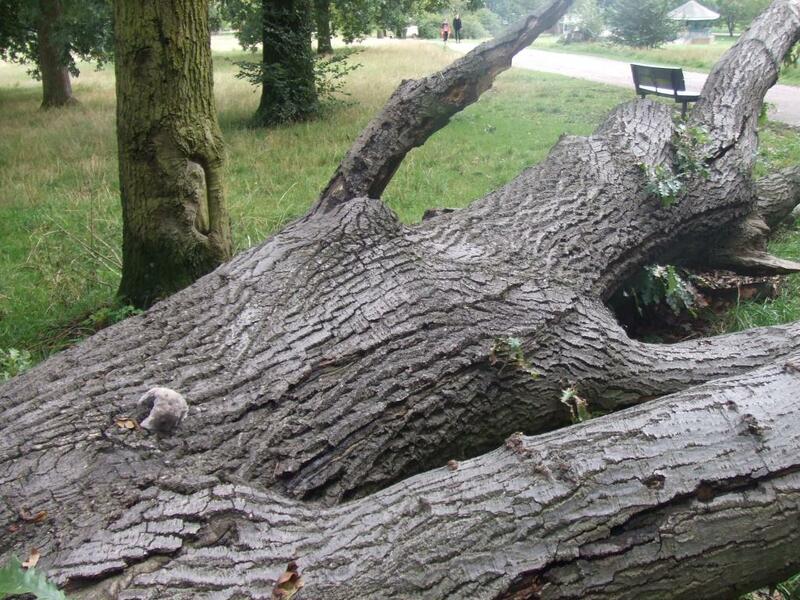 People with magnifying glasses and field guides examining fallen trees colonised by fern and fungus. Bird-lovers make their way down the hill towards Highgate Pond No. 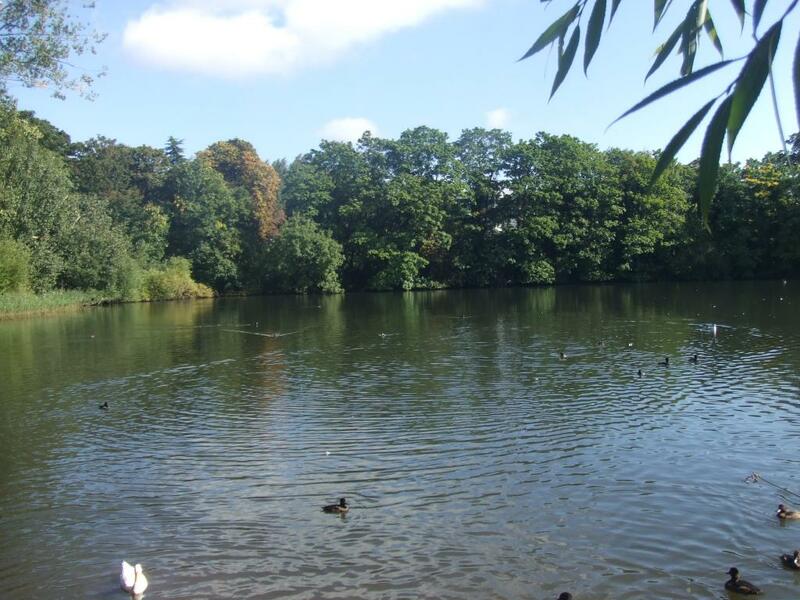 1 and Bird Sanctuary Pond, both home to swans, herons, moorhens, various species of duck. Swimmers aim north-westwards towards the Men's Bathing Pond or the Kenwood Ladies' Pond, as appropriate, or westwards to the Mixed Bathing Pond, or south-eastwards to the Lido, an open-air unheated pool opened in 1938. These three ponds and the Lido are popular throughout the year, with some people aiming to swim every day, rain or snow notwithstanding. (One of these swimmers is A. Alvarez, Plath's friend and, in the early 60s, a prominent literary critic, one of the first people to recognise the importance of her work. Now in his 80s, Alvarez lives near the Heath and writes extensively of its joys in his recent book Pondlife, a selection of his journals.) I found it easy to imagine Plath strolling among these various groups of people. On that day in February 1961, her view of the ponds ( "the linked ponds") would have been clearer on account of bare trees than the one I got in September. Hampstead Heath is a place rich in historical, artistic and literary associations. John Constable the English landscape painter lived nearby in the 1820s and 1830s, partly because the air of Hampstead was good for his consumptive wife and partly because he loved to paint the Heath in its many moods and weathers. 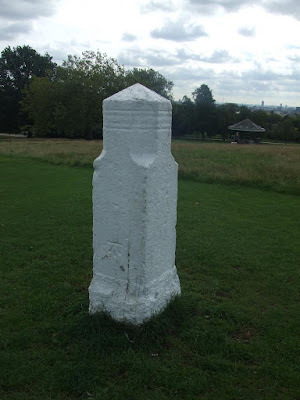 John Keats, it is said, heard the nightingale to which he addressed his "Ode to a Nightingale" on Hampstead Heath if not on Parliament Hill Fields themselves. Several years earlier, as a medical student, he herborised here, observing and learning about many species of medicinal plant: bogbean, coltsfoot, lady's smock, sphagnum moss. (Later drainage projects sounded the death-knell for most of these species.) Anna Pavlova the Russian ballerina lived near here for twenty years before her death in 1931, almost certainly enjoying the sight of swans on the ponds as well as having several swans as pets. Religious and political gatherings often focussed on the Stone of Free Speech until maybe the middle of the nineteenth century. In Plath's time, one of the recognisable walkers here and thereabouts was Hugh Gaitskell, the then Leader of the British Labour Party and probable future Prime Minister. Gaitskell died at the age of 56, of the complications of lupus, in January 1963, less than a month before Plath's own death. That month was the coldest month in England in the twentieth century; in fact, you would have to go back all the way to 1814 to find a colder one. Snow would have been lying thick on the grass on Parliament Hill Fields, there would have been ice on the ponds, and I assume, many struggling swans, ducks and other birds. Simultaneously, Plath was struggling in her flat on Fitzroy Road with frozen pipes, power-cuts, flu, depression. Winters like this kill, sometimes directly, more often indirectly, felling those already vulnerable. Time brings changes. The Lido no longer has any diving-boards and it now has CCTV but it is still the much-loved destination of water-loving Londoners. The bowling-green, children's playground and cafe, here in Plath's time as far as I have been able to establish, are still here and much used. There is still a bandstand. Nowadays, a little further off, there is also an athletics track. The whole place, now as then, is wonderfully uncommercial for the most part. Walkers, both human and canine, continue to walk and enjoy. 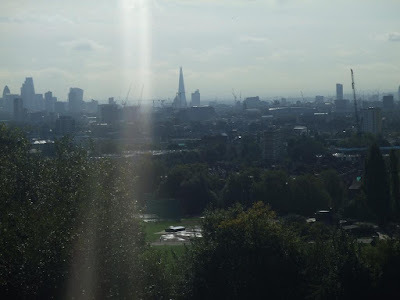 Though the emotional tone of "Parliament Hill Fields" is one of sadness, I have formed the strong impression that this place was in general a nurturing one for her, a mixture of haven, bolt-hole and gentle, unobtrusive therapy. Unless otherwise stated, all photographs by Sheila Hamilton. 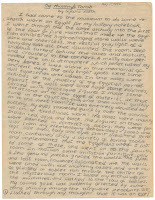 Bonhams will offer two small Sylvia Plath lots in their 11 November 2015 sale at Knightsbridge in London. Lot 120 features an "Autograph manuscript of her early story 'The Mummy's Tomb', headed by her: 'The Mummy's Tomb / by Sylvia Plath/ May 17, 1946". The estimate is £1,500 - 2,000 (US$ 2,300 - 3,100). 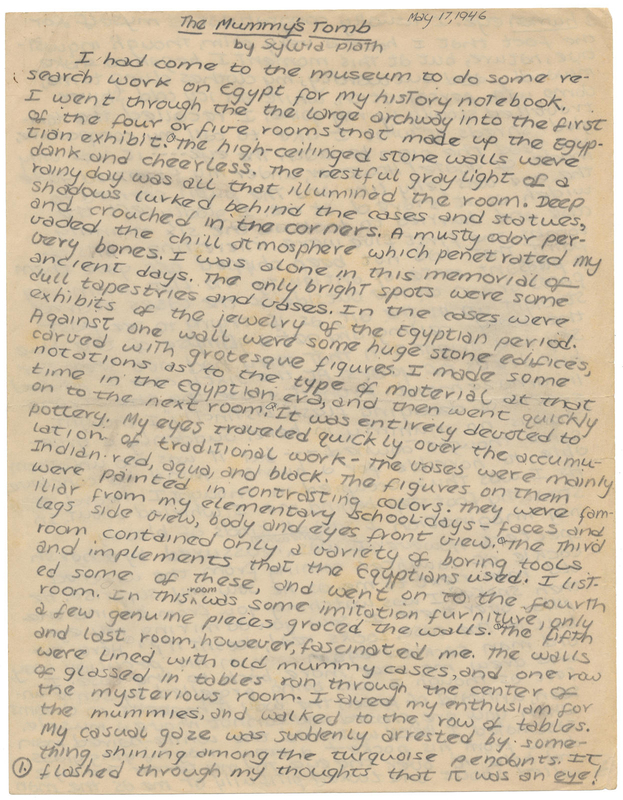 "Autograph manuscript of her early story 'The Mummy's Tomb', headed by her: "The Mummy's Tomb/ by Sylvia Plath/ May 17, 1946", opening: "I had come to the museum to do some research work on Egypt for my history notebook...", recounting the gothic tale of a girl's nocturnal visit to a display of mummies and her encounter with their sinister keeper ("...'Ha!' he leered, 'you got away yesterday, but you won't now. I'll muffle your screams of anguish and let you die from loss of blood and in terrible pain. You must meet the Egyptian gods. I will slowly cut out your eyes and harden them for the show case display!'... "), 4 pages, on two separate sheets, very faint spotting and light pencil-smudging, 4to, 17 May 1946." 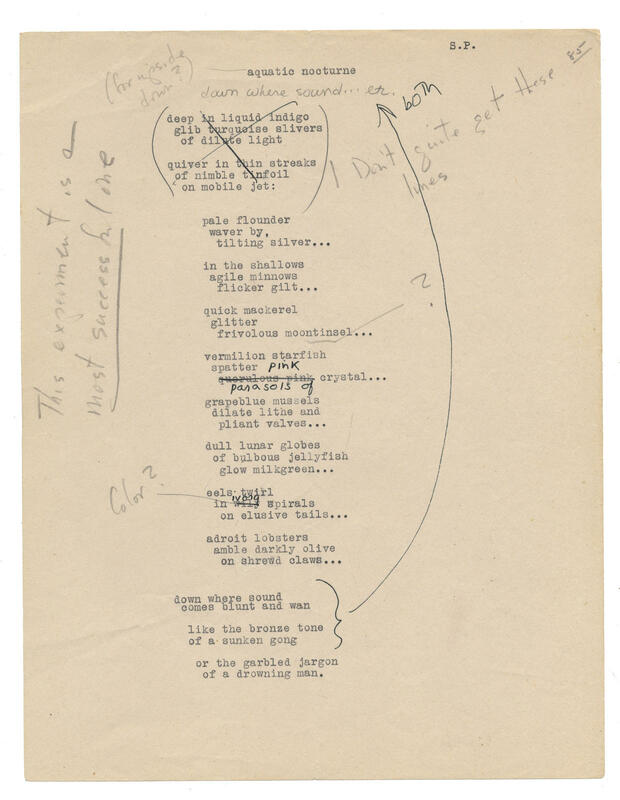 Lot 121 consists of "Annotated typescripts of five poems written when at Smith College, Smith College, 1948-1950 where dated". The estimate for this lot is a reasonable £1,500 - 2,000 (US$ 2,300 - 3,100). The poems are: "aquatic nocturne", "Terminal", "Van Winkle's Village", "The Dark River (P.N. )", and "The Invalid". 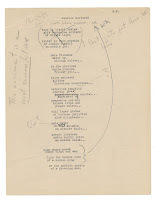 "Annotated typescripts of five poems written when at Smith College, comprising 'Aquatic Nocturne', opening: "down where sound/ comes blunt and wan/ like the bronze tone/ of a sunken gong/ or the garbled jargon/ of a drowning man...", two lines revised in ink with an alternative opening indicated in pencil, also marked up by her teacher ("This experiment is a most successful one/ I don't quite get these lines"), typed initials at head, marked in pencil "85"; 'Terminal', opening: "Bolting home from credulous blue domes...", one line revised in ink, typed name and Smith College address at head, marked in pencil "16/2"; 'Van Winkle's Village', opening: "Today, although the slanting light reminds...", first four lines reworked in ink and marked "Rewritten", typed name and Smith College address at head, marked in pencil "80/2"; 'The Dark River (P. N.)', opening: "You are near and unattainable...", dated in ink "1948", marked in pencil "67a"; 'The Invalid', opening: "Half-past four on an April morning...", carbon undercopy, title in ink and dated "1950", marked in pencil "52b", 5 pages, in folders marked with sequence numbers, 4to, Smith College, 1948-1950 where dated." These are select pieces of the big Sotheby's auction from December 2014. See this blog post and this one as well if you want to refresh your memory. That auction failed to sell as a complete archive of its own and as a result, as is typical of this kind of thing, the whole of it will likely be broken apart. "The Mummy's Tomb", while an early story, is one of a kind. As it is handwritten, no other version of this story is extant in this format. The Lilly Library at Indiana University, Bloomington, holds a three page typescript (four pages if you include the cover sheet). The poems are also unique. While other copies exist, these contain comments and revisions both by Plath and her instructor. The Lilly Library holds several typescripts of "Aquatic Nocturne" that show the progress of the poem: its final form as well as its initial one, including Plath changing the title from "aquatic nocturne" to "Aquatic Nocturne". What is unique and most attractive about this lot (or at least, this poem as it's the only one with an image) is that it shows the changes to the poem in progress. Completing, if you will, the creative process of her drafts. Additional typescript copies of these poems may be held at Smith College and Emory University, as well. All links accessed 9 October 2015. The essay on Sylvia Plath by Linda Freedman that appears in Fiona Green’s edited collection Writing for The New Yorker: Critical Essays on an American Periodical (Edinburgh University Press, 2015), is entitled: "Sylvia Plath and 'The Blessed Glossy New Yorker'". On the surface, this is a brilliant title for an essay that considers a subject that should prove fascinating. Plath coveted just about everything about The New Yorker: the typeface, the cartoons, the quality of the writers it published,the content; even the sheen of the paper. However, Freedman's treatment of Plath and The New Yorker is wanting; the essay suffers from distinctive gaps and oversights which suggest a lack of familiarity with the subject. The initial disillusionment comes in Freedman’s second paragraph when she states: "even though her [Plath's] work appears more frequently in other periodicals such as the Ladies' Home Journal, Mademoiselle, and Seventeen" (118). In fact, Plath published only once in Ladies' Home Journal when she placed an old sonnet "Second Winter" written on 8 March 1955 in Ladies' Home Journal's December 1958 issue. Freedman cites Jacqueline Rose, but one expects some fact checking to take place, and thus she could offer a correction to Rose's false statement and not a continuation of misreporting in this innovative volume of new essays. For the record, by December 1958, which saw Plath's second published piece in The New Yorker, Plath appeared nine times in Seventeen; three times in Mademoiselle, and once in Ladies' Home Journal. Inexplicably, Freedman goes on to spend a chunk of time on poems by Plath that were never included in The New Yorker such as "The Munich Mannequins", "Edge", and "Mary's Song". Here, again, Freedman perpetuates misinformation about Plath’s work, falling into the usual trap of stating as fact that Plath's last poem was "Edge". For the love of Plath, people, you cannot say that! The truth is two poems were written that day: "Balloons" and "Edge". Alphabetically, yes, "Edge" was the last poem Plath wrote on 5 February 1963. Freedman goes on to discuss a dream that Plath that involved the editing of her New Yorker poems, and makes a very uninformed claim: that "she always agreed to suggested changes" (127). Nothing could be farther from the truth. One look at the correspondence between Plath and New Yorker poetry editor Howard Moss held by the New York Public Library shows that, even while discussing her first acceptance of "Mussel Hunter at Rock Harbor", Plath held her ground about suggested edits by Moss. This was a pretty assertive thing to do, given Moss’s status at the time, but it clearly shows that, in fact, Plath was not always in agreement with her editors. Yes, there were a number of times, when Plath did agree with changes suggested by editors, but there were also other occasions when her intentions for her poetry would have been lost by the edits suggested which led her to refuse to implement them. In the last section of her essay, "Taking Up Space", Freedman also makes some poor judgments. On the big, double-page spread of Plath's leftover New Yorker poems published on 3 August 1963, Freedman writes disparagingly of the inclusion of Plath's life-span dates underneath her name, "Readers had no choice but to construe the poems within the narrative of Sylvia Plath's life and premature death" (131).She then states, "The bracketed dates of Plath's birth and death did not give any sense of when the individual poems were written" (132). In principle, I agree with this, as some poems were written was much as five years previously. But Freedman continues, "Readers would not have known that 'Mystic' was written in 1963, close to the time of Plath's suicide" (132). That's right: because the majority of the readers of the 3 August 1963 issue of The New Yorker would not have known of the manner in which Plath died. This makes absurd Freedman's next claim that "even a comparatively early poems such as 'The Elm Speaks' (April 1962) might be taken as a suicide note" (132). Most readers might have read 'Elm' (as it was originally and later titled when it was published in Ariel -- the fascinating backstory about this poem held in The New Yorker records is lamentably not a part of Freedman's essay and, in light of how short-sighted it is, perhaps this is a good thing) as a brilliant soliloquy on nervous agitation. Freedman seems intent on stating that the readers of that issue of The New Yorker knew that Plath's death by suicide was common knowledge: "The transition in this poem ["Elm"] from movement to stillness is particularly affecting, given the context of recent suicide that would govern a reading of the poem in the 1963 magazine" (132). Page 132 is just a bad page. The last paragraph on this page is no better than those that precede it. Freedman writes, "On 11 December 1969 Olwyn sent Moss six newly discovered Plath poems". The idea that these poems were "newly discovered" was a marketing ploy on behalf of the estate. However, Freedman naively accepts this for fact, dragging Moss along for the ride: "Moss had never accepted an entire batch of poems while Plath was alive. His immediate acceptance of these six must have been at least partly because their discovery was newsworthy"(133). The six poems all appeared in the 6 March 1971 issue of The New Yorker: "The Babysitters", "Pheasant", "The Courage of Shutting Up", "Apprehensions", "For a Fatherless Son", and "By Candlelight". How newsworthy could these poems be if they were submitted in December 1969 and then held on to for 15 months? Freeman fails to mention that all six poems had been previously read and rejected outright by Moss. The record of this is clear in both the correspondence in The New Yorker records and via Plath's submissions lists held by Smith College. Plath wrote each of these poems after had signed her first-reading contract with the magazine so she was obligated to send them to Moss for consideration. Inexplicably, and contradicting herself, in writing about Olwyn Hughes's subsequent submission of "Last Words", "Lyonnesse", and "Gigolo" in April 1970, Freedman does acknowledge that Moss had previously seen "Gigolo", which was accepted by Moss and published in November of that year. In all, this was a promising essay topic that failed to convince because of a lack of familiarity with, or knowledge of, the subject of Plath's business relationship with The New Yorker which could have been remedied by consulting the well-catalogued correspondence, manuscripts and typescripts that are now available in archives. Both Freedman and the book's editor Fiona Green might have provided a more carefully researched essay following careful and thorough examination of archival documents. Distance from archives (Freedman and Green are located in the UK, the archive is in the US) and issues of copyright and photocopying is not an excuse for the perpetuation of misconceptions or misinformation in lieu of consulting archival material. Fly or sail over. Hire a proxy researcher. Ultimately, ask a Plath scholar to write on Plath. Freedman is undoubtedly gifted and bright, but have you looked at her c.v.? 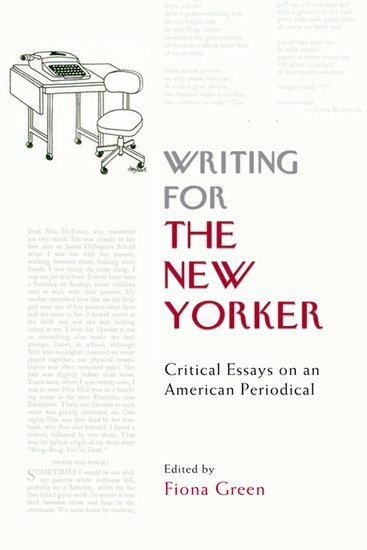 Freedman outlines her thesis as "concerned with the making of Sylvia Plath in the context of The New Yorker, and with her sense of her own materiality, or immateriality, as a writer in that context" (118). But, heck, even her thesis statement leaves me scratching my head. My thanks to Gail Crowther and Gillian Groszewski for reading and commenting on a draft of this blog post. All links accessed 28 June 2015.